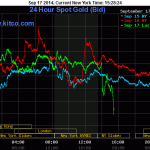 Subject: Gold Prices Today Are Up – Can They Stay There? five × 7 = Required Please enter the correct value. 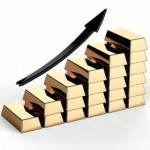 Gold prices today are up. 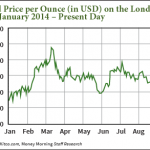 Global market volatility has driven investors into the protective precious metal. The question is if gold prices will rise for the year, or have another down year, despite the increasing reasons to buy gold. Money Morning Resource Specialist Peter Krauth - a former portfolio adviser and a 20-year veteran of the resource market - explains why today's gold price is going down. 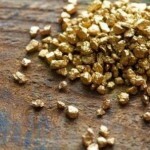 October gold prices are up, and look to be heading higher into next week. Gold prices today (Friday) fell to fresh new lows below the $1,200-an-ounce threshold for the first time since mid-December. Gold prices today (Tuesday) snapped out of a streak of 9-month lows. After being on track for a third-straight session gain, gold prices today (Wednesday) plummeted following afternoon announcements from the U.S. Federal Reserve. Gold prices today (Thursday) climbed higher in morning trading, on track for global gains across three consecutive trading sessions. Two themes have dominated gold news the last few months, and both have opposite effects on gold price. 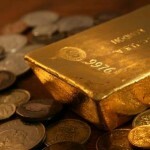 May 19 was a big day for gold prices worldwide - perhaps the biggest this year. On that day the powerful European central banks announced the signing of the fourth Central Bank Gold Agreement. While that may sound harmless, it’s anything but. 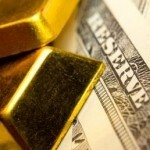 Watch for the gold spot price - the price of gold for immediate delivery - to make dramatic moves as the Federal Open Market Committee (FOMC) meets this week. It has already had a volatile morning ahead of the meeting's Tuesday kickoff. Here’s what the current gold prices did this morning, and the two big policies to watch coming out of the Fed meeting that will move the yellow metal this week…. 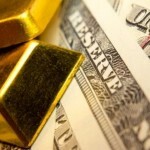 Gold shifted higher today (Monday) following recent record lows – our up-to-date gold price chart shows that in late May, gold tumbled to its lowest level in four months, to $1,243.00. Gold for August delivery was up 0.1% at $1,253.90 a troy ounce on the Comex division of the New York Mercantile Exchange. 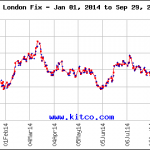 London gold was up 0.1% at $1,253.77 an ounce. Gold mutual funds are gaining attention as a safe-haven investment to hedge against the market volatility 2014 has brought so far. These types of investments are managed by professionals who analyze and monitor the movement of gold and invest accordingly in bullions and equities. 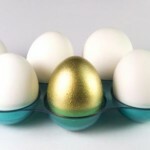 Here we examine one method for how to invest in gold, using gold mutual funds. Analysts look to the gold price history as a tool to make predictions about the yellow metal's direction. A good place to start when examining the gold price history is the 1970s. Up until the early '70s, gold prices hardly fluctuated by more than a dollar or two. But U.S. President Richard Nixon, who was in office from 1969-1974, decoupled the dollar from gold in 1971 due to various economic pressures.